“Mobile-friendly” isn’t just a buzzword web designers throw around to get your business. It’s an actual benchmark that Google uses to determine if a website is optimized for mobile use. Last April, Google made an update that gave a boost to mobile-friendly websites. Last week they announced another update. This one will give even more weight to mobile-friendly sites. It’ll roll out in May. It’s rare for Google to pre-announce an algorithm update. Usually, they roll out changes unannounced and fill the world in later. So it’s significant that that we’re getting a second consecutive heads up to keep our eyes on mobile. Now is the perfect time to review Google’s mobile-friendly guidelines and make sure you’re following the rules. Now Google tags websites as mobile-friendly in search results, giving mobile users a heads up before they even click on a search result. You can check your website with Google’s Mobile-Friendly Test. It will tell you if Google considers your website mobile-friendly. If your website doesn’t pass, Google will give you a list of improvements you need to make. Advanced users can also use the Google Search Console Mobile Usability Tool. This tool will analyze every page of your website and generate a list of pages with usability issues. Remember, Google says that the search changes apply to individual web pages. That means every page of your website needs to be mobile-friendly, not just your home page. If don’t have a mobile-friendly website, you’re already fighting an uphill battle with SEO. Google loves mobile-friendly websites. Last year’s updated gave a push to mobile-friendly websites on mobile searches. You might remember the change it by its affectionate nickname, Mobilegeddon. Google made mobile-friendly a ranking signal for mobile searches. That means that it’s a factor that they consider when determining search results. Backlinks — When other websites link to your content, Google takes it as a sign that your content is valuable. And that your site is trustworthy. The more backlinks the better. Site Speed — Faster websites tend to rank higher than slow websites. *Or so we think. Google hasn’t come out and given us a detailed list of their ranking signals. They probably never will. But sometimes they give us a hint at what we, as website owners, should be paying attention to. These changes apply to mobile search results only. Desktop search results will not be affected. These changes apply to all search results in all languages. These changes apply to individual web pages, not entire websites. Apparently, Google wants us to pay even more attention to our mobile sites. In last week’s announcement, Google revealed that they will give even more weight to mobile-friendly websites when considering mobile search results. It often feels like Google runs the internet. Like their just making the rules of the internet, and we have no choice but to follow along. It can be easy to forget that Google is a business. Just like any other business, Google’s success depends on giving their customers what they want. Websites with high-quality original content, because users value good content. Websites that load quickly, because users get frustrated with slow loading times. Websites that are mobile-friendly, because users don’t like having to pinch and zoom. Even as a search engine, Google has to do more than just match search queries with relevant content. Obviously, relevant content is a top priority for web searches. 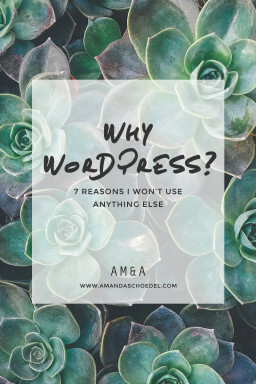 But Google also has to consider the other factors that matter to its users: things like page speed and mobile-friendliness. If Google stopped caring about the wants of its users, they would become dissatisfied and turn away. Google doesn’t make rules because they like to watch us scramble. They make rules because it helps them give their users what they want. That’s how Google remains the most popular search engine in the world. Google doesn’t make rules because they like to watch us scramble. They make rules because it helps them give their users what they want. More and more, Google is emphasizing usability factors in addition to traditional search factors like keywords and meta descriptions. Why? Because users care about things like mobile-friendliness. Googles rules and ranking signals are indicative of the preferences of web users. Following Google’s best practices aren’t just for website owners who care about SEO. 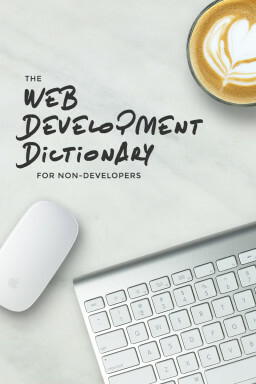 They’re for website owners who care about their users. A Google survey from 2012 found that 74% of visitors are more likely to return to mobile-friendly websites. The survey also revealed that 61% of users were likely to eave if a site wasn’t mobile friendly. That was 4 years ago. We can only assume that people’s preferences are even stronger for mobile-friendly websites today. Following Google’s best practices isn’t just good for SEO. It’s good for user experience. Think of it this way: Google has done the legwork to figure out what web users want in a website. All you have to do is follow their suggestions. You’re almost guaranteed more traffic, longer visit durations, and more returning visitors. Even if you don’t value search engine optimization, you should value these metrics. Last year, Google stated that more searches take place on mobile devices than on desktops in 10 countries. Google didn’t reveal all of these countries, but they specifically named the US and Japan as 2 of the 10. Other media reports (i.e. comScore’s 2015 U.S. Mobile App Report) suggest that over 60% of digital media consumption happens on mobile devices. Clearly, people are spending more and more time on the web via mobile devices. But they’re not just browsing, they’re shopping. A rise in mobile web usage also means a rise in mobile commerce. Consumers now spend more time shopping on mobile devices than on desktops (via comScore). For mobile-friendly websites, this can mean more traffic, more conversions, and more sales. Meanwhile, sites without mobile friendly designs will continue to see visitors leave. The bottom line: business is happening on mobile. So optimizing your website for mobile is critical. Websites that don’t provide a positive mobile experience miss out on major traffic and major money. There are still a lot of questions surrounding Google’s latest announcement. We don’t know how much of a boost Google will give to the mobile-friendly signal. We don’t know which ranking signals will become less significant as Google places a larger emphasis on mobile-friendliness. 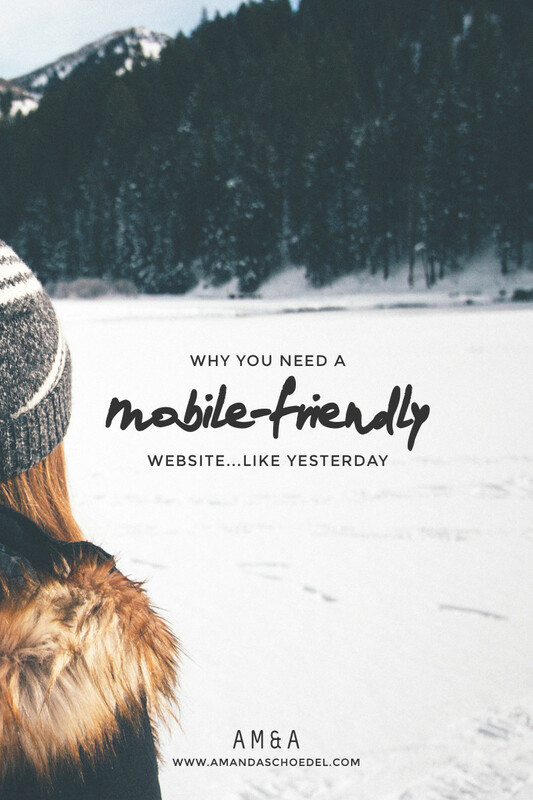 But we do know this: if you don’t have a mobile-friendly website, the time to get one is now. I’m so glad my website is mobile-friendly from the start. This is a really helpful article. Thank you!